A discrete analytical plane DAP is defined as a set of lattice points which satisfy two inequalities. 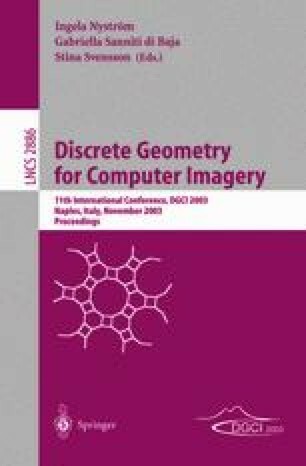 In this paper, we define a discrete combinatorial plane DCP and show relations between DAPs and DCPs such that a DCP is a combinatorial surface of a DAP. From the relations, we derive new combinatorial topological properties of DAPs.